Use the links below to see a fully functionality demo of the script. Note: The demo includes all of the plugins. 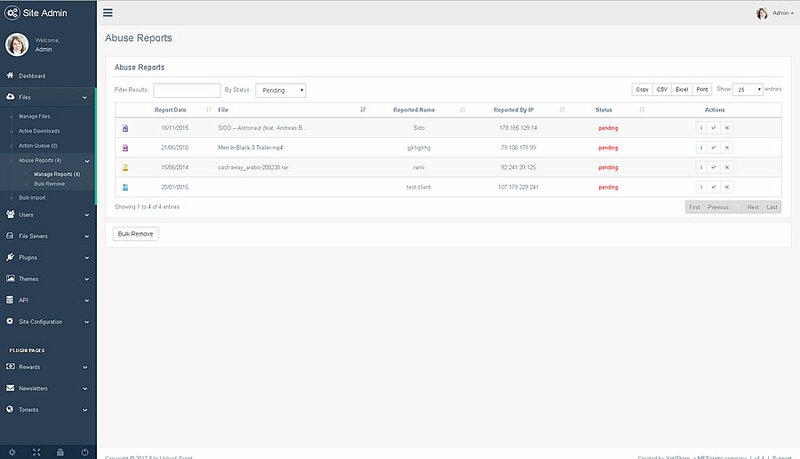 The DMCA functionality built into YetiShare is fully integrated into the admin area so you can easily and quickly process removal requests. Set up a dedicated user to just have access to review the requests. Front-end form requesting all the required information to submit a DMCA removal. Entered DMCA information is validated including the problem file url. Notification of removal request sent to admin via email. Admin area section to view pending and previous requests. 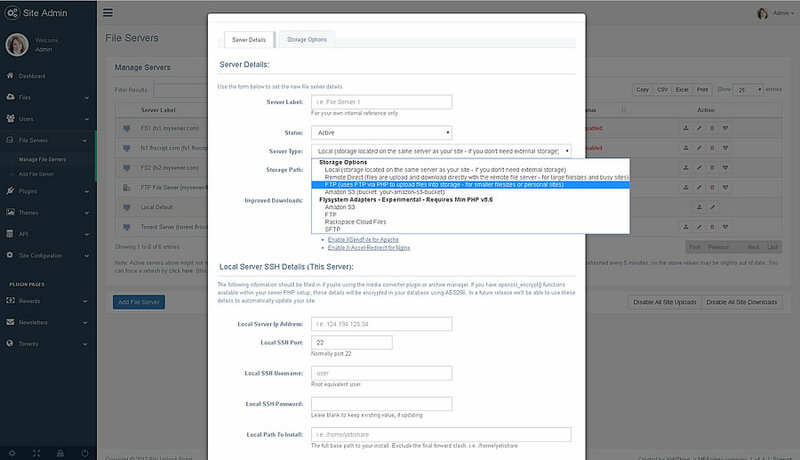 Quick, single click, removal via the admin area. This approves the request and instantly removes the file. 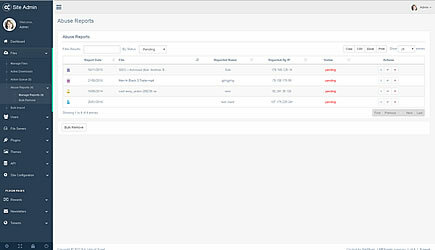 Dashboard overview of total pending requests so it's easily seen when admin logs in. Moderator user type to provide limited access for reviewing copyright reports. 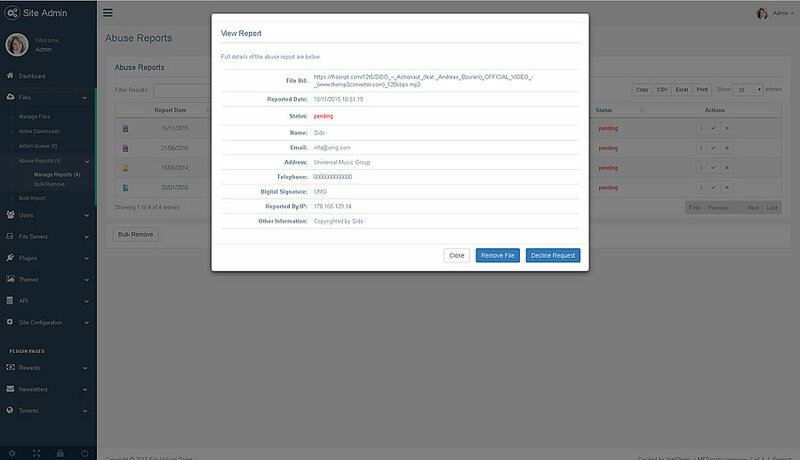 User type can access the file management and reported abuse pages in the admin area. 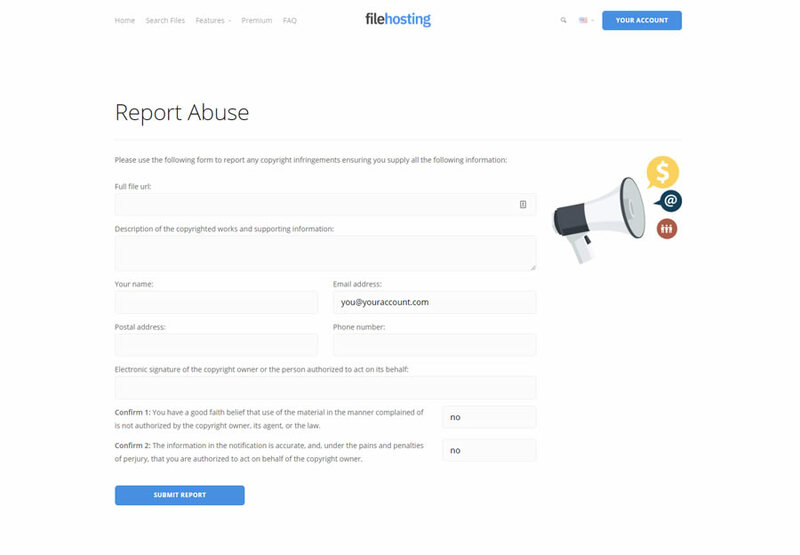 You can view dmca reports form on our demo site. Upload multiple files at the same time. Pure HTML5 implementation with upload progress, so no reliance on Flash. Chunked uploads. Accessible on mobile, tablet and desktop. 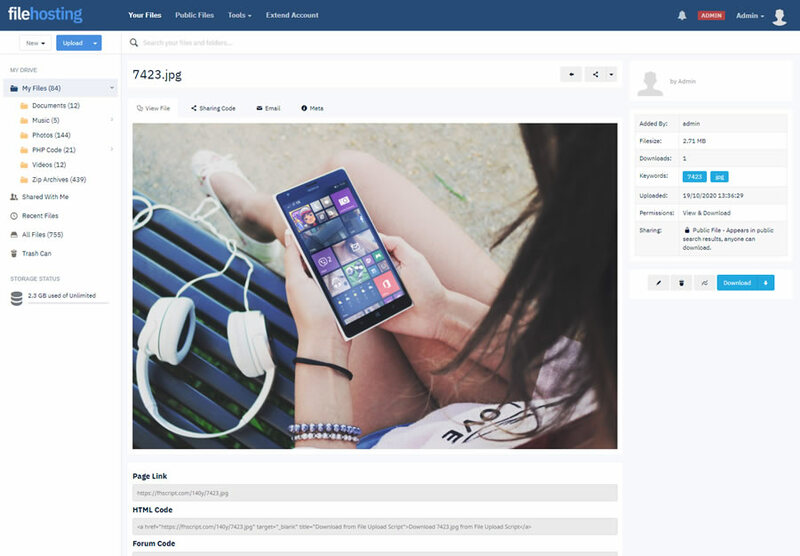 YetiShare automatically reformats depending on the users device. 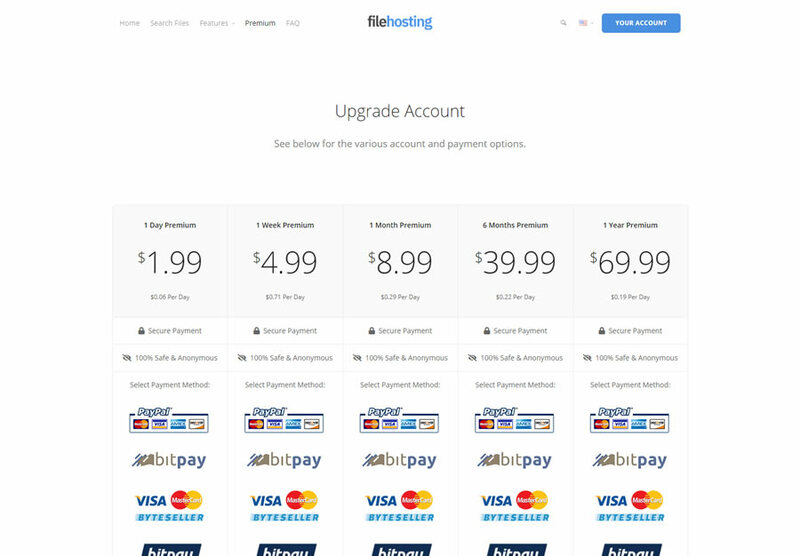 Generate revenue by charging for premium account upgrades. Access to over 50 payment gateways included. 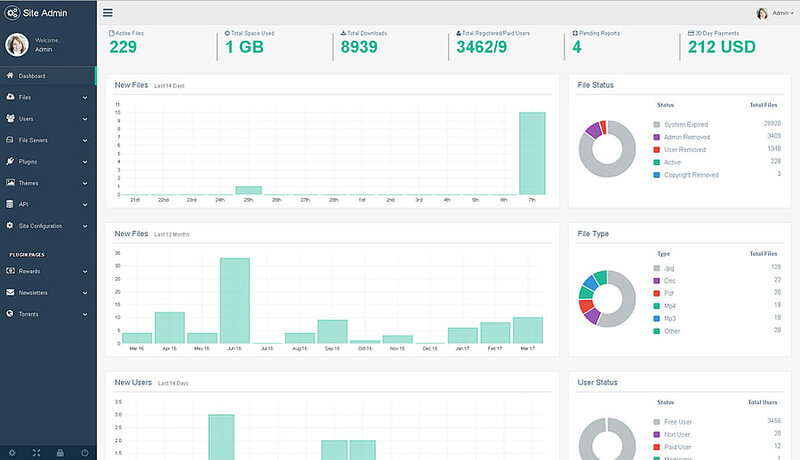 Feature rich admin area to manage users, files, file servers, site configuration and more. Even view downloads as they happen. 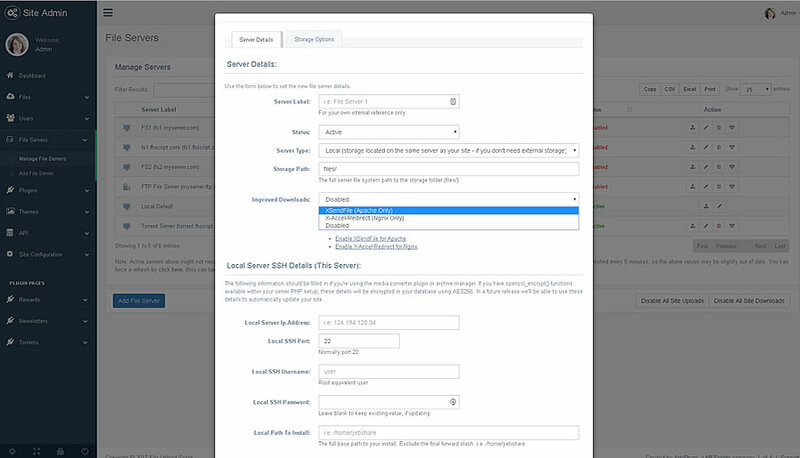 Use multiple external file servers to store the uploaded files. Any remote FTP server can be used as a file server. 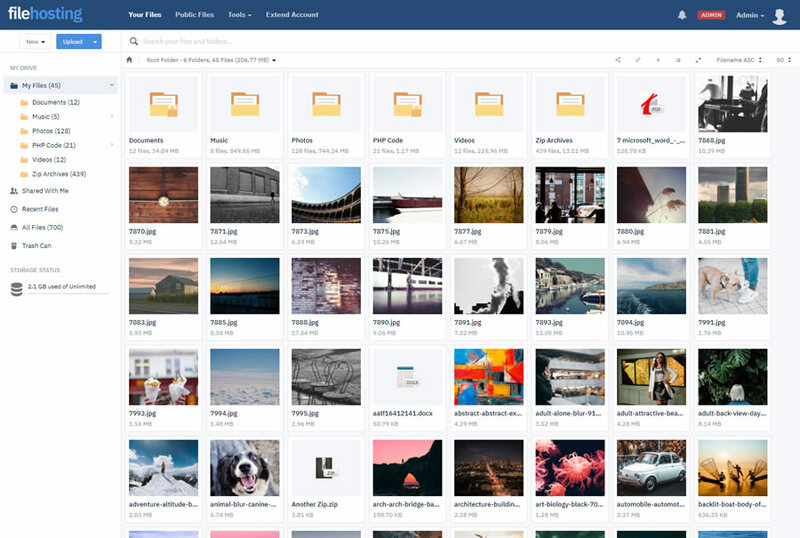 Our file manager is built to be fast, flexible and feature rich. It comes with full screen mode, folder view, quickview and more. 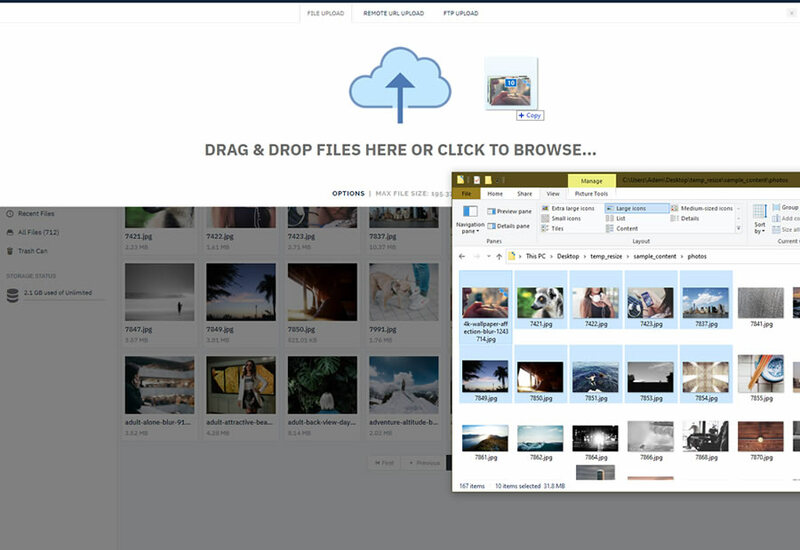 User can drag & drop their files straight onto the uploader. Requires a supported browser such as Chrome. Upload files directly from external sites if you know the url. View percentage progress as the files are transferred. Full support for RTL (Right To Left) languages such as Arabic, Chinese and Farsi. Includes the mobile and tablet versions. 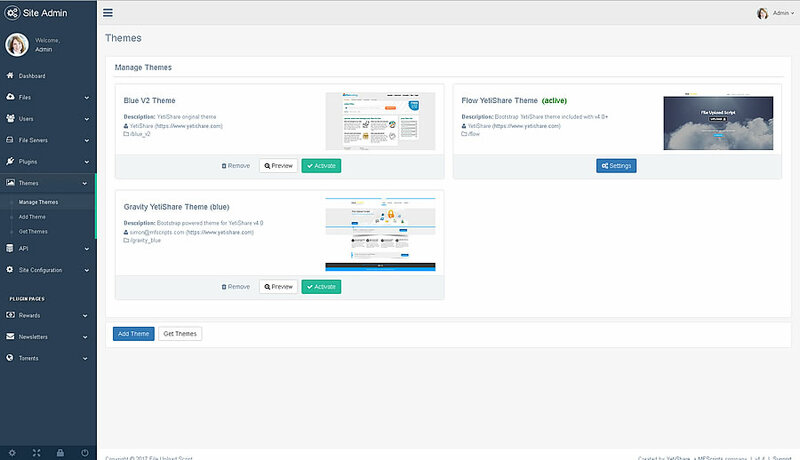 Easily add themes via the admin area of the script. Themes are in their own folder in the code so they're really easy to manage. 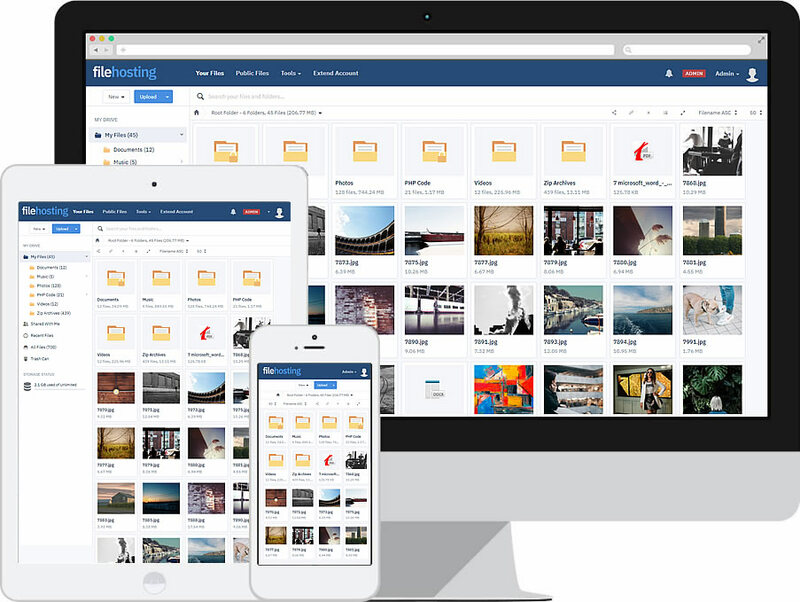 Share files with popular social networks such as Facebook, Twitter & Google+. Send via email or post straight to a forum. Increase performance by using your webserver to download files rather than PHP. XSendFile in Apache, XAccelRedirect in NGINX. Support for popular download managers which provide an http auth option. Support for pausing and resuming downloads. Detailed statistics for each file. View downloads, referrals, countries, browsers & operating systems. 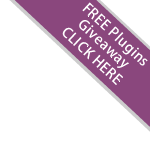 Expand the file upload script using plugins. Add new payment gateways, a rewards program or a media streamer and more. Translate the script into any ltr language which supports UTF-8 characters. 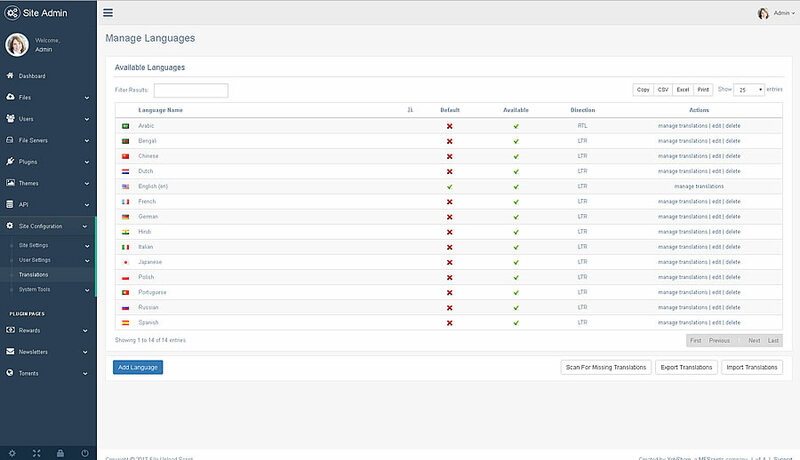 Language switcher included with the site. User registration & members area. Users can create an account to manage their files. Includes folder management. 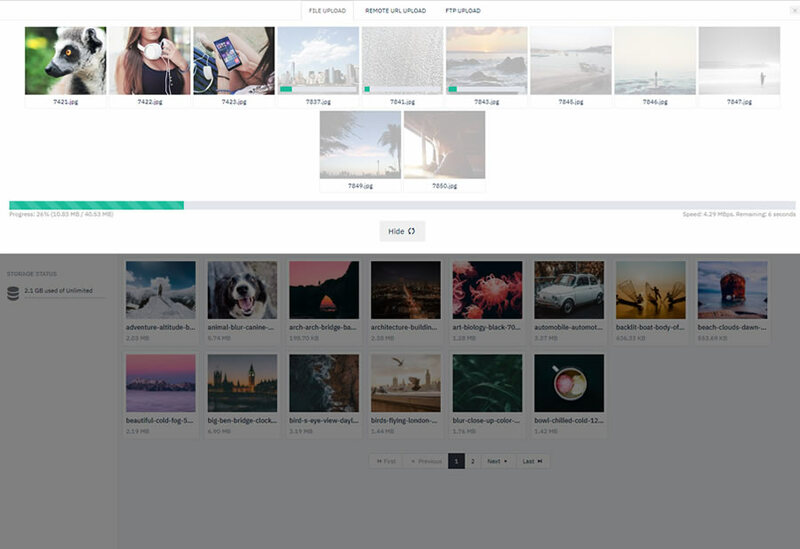 To save storage costs, YetiShare will not store duplicate upload. Only the first uploaded file is stored, duplicates are linked to. 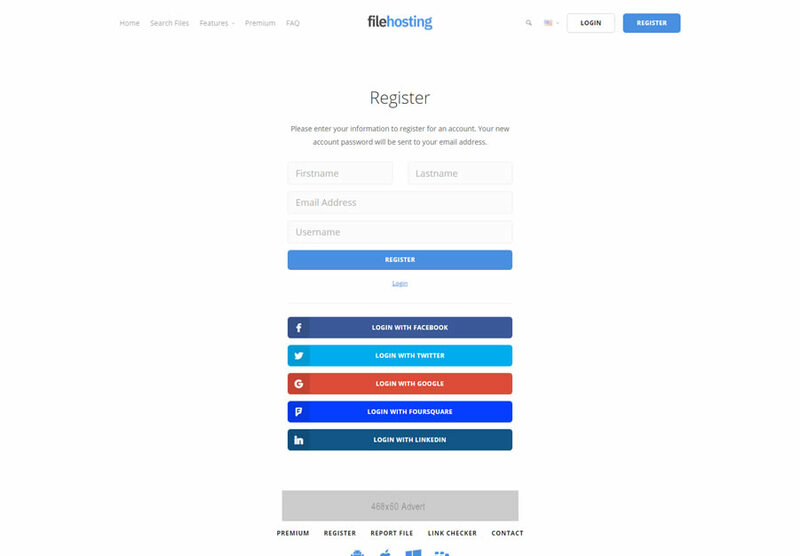 Take the hassle out of DMCA removal requests. We provide the tools to capture all the information on the initial submission. None of the code is encoded. You have all to all the source code so you can make any changes to the script as you need to. 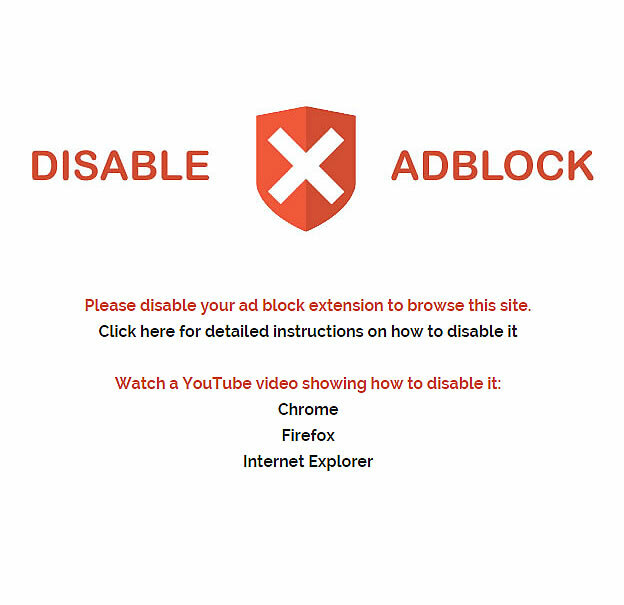 The AdBlock Detection feature allows you to restrict access on their file sharing site if a user has AdBlock enabled. IP blacklisting. File type blacklisting. Spam protection. Externally tested for XSS and SQL injection attacks. Unlike other file hosting scripts, development is extremely proactive. We run an RFCs list in the forum for feature suggestions. Updates are included for 1 year within any purchase. Email support for 1 year. Lifetime access to the forum. 21/04/2019 - How to fix referrers? 04/12/2018 - v4.5.3 - Fix to IP to location library. © 2019 YetiShare. All rights reserved. A MFScripts website.